Well, it is done. 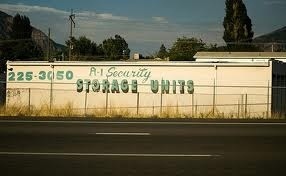 All of our worldly possessions are locked up in a storage unit. It is packed to the ceiling with boxes and boxes and boxes of “stuff”. What a job and what a relief to have it all done! It is amazing how much you can pack into a house, and we have moved several times lately, but this time we really purged and still ended up barely being able to close the storage door. Now, I am sitting by a hotel pool watching my kids and husband swim and all I can think is, we made it. We are really going on this amazing adventure. We are going to try a test run this summer doing a California road trip. One thing that we have already discovered is that we need to rethink our whole packing strategy because it is not going to work the way we have done it at the moment. I have a feeling the car we are leasing in Europe is no bigger than the car we have here, most likely smaller even and you can only shove so much before the door just won’t close… I do not want to have suitcases piled on my lap as we traverse across Europe! My husband always seems to pack even more than I do so I will have to keep my eye on him and have a little chat. Thankfully, my two daughters are still pretty little and so are their clothes. This definitely helps but with all of the school supplies, computers and various assortments of other items that have yet to pass the final packing list, it could be a rough one. It is an odd switch to suddenly have all your necessities in a rolling suitcase and instead of a house, a hotel room with some vacation rentals thrown in for fun. We are really switching things up and it is pretty interesting. Thanks Dad!Can’t believe how soon we are going! Oh boy!!! !